Not long ago, pet trusts were thought of as little more than eccentric things that famous people did for their pets when they had too much money. These days, pet trusts are considered mainstream. For example: in May 2016, Minnesota became the 50th (and final) state to recognize pet trusts. But not every pet trust is enacted exactly according to the owner’s wishes. Let’s look at 3 famous pet trust cases and consider the lessons we can take away from them so your furry family member can be protected through your plan. Achieving notoriety in the 1980s as the “Queen of Mean,” famed hotelier and convicted tax evader Leona Helmsley passed away in 2007. True to form, her will left two of her grandchildren bereft and awarded her Maltese dog Trouble a trust fund valued at $12 million. The probate judge didn’t think much of Helmsley’s logic, however, knocking Trouble’s portion down to a paltry $2 million, awarding $6 million to the two ignored grandchildren and giving the remainder of the trust to charity. Furthermore, when Trouble died, she was supposed to be buried in the family mausoleum, but instead she was cremated when the cemetery refused to accept a dog. Lessons learned: Leaving an extravagant sum to a pet may not be honored in a lawsuit and can cause family conflict. It’s best to leave a reasonable amount to provide for the care and lifestyle your pet is used to, for the rest of his or her life. 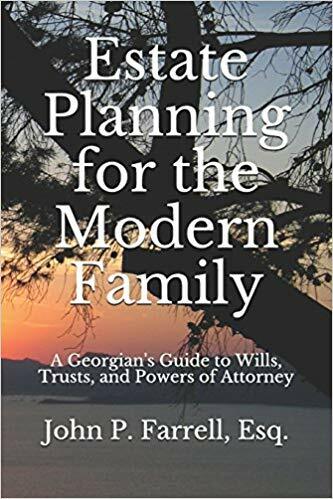 If you are looking to disinherit one or more family members, make sure to specifically talk with your attorney so you can have a game plan to make the disinheritance as legally solid as possible. Most Michael Jackson fans will remember his pet chimpanzee Bubbles, who was the King of Pop’s constant companion. Jackson reportedly left Bubbles $2 million. After the singer’s death, Bubbles’ whereabouts became a point of speculation amid allegations that Jackson had abused the pet while he was alive. The good news is that Bubbles is alive and well, living out his years in a shelter in Florida. The bad news is that if he was actually left $2 million, he never received it; and he is being supported by public donations. Lessons learned: Always be clear about your intentions and work with your attorney to put them in writing so your furry family member is cared for and doesn’t wind up in a shelter. Liebenstein, a German countess, left her entire fortune to her German Shepherd, Gunther III, valued at approximately $65 million. Tragically, Gunther III passed away a week later. However, the dog’s inheritance passed on to his son, Gunther IV; the fortune also increased in value over time to more than $373 million, making Gunther IV the richest pet in the world. Lesson learned: It’s possible for pet trust benefits to be passed generationally, so make sure your estate plan reflects your actual wishes and intentions. If you haven’t yet made arrangements for your beloved pet in your estate plan, we’re here to help. We’d love to talk about setting up a new pet trust for you or adding one to your current plan. Call us today at (678) 809-4922 to talk.